No wager bingo sites are becoming more popular recently as bingo fans start to see the benefits of using this sort of site. Some of the biggest bingo site operators like Dragonfish are changing the way that their sites work in order to give players what they want. Here, we are going to explore the idea of no wager bingo so keep reading to find out more. mFortune hands out a free £5 welcome bonus that gives players the chance to enjoy no wager requirements bingo! Enjoy a 700% welcome bonus on your first deposit! Who’s Behind the Latest No Wager Sites? So, who is behind all of these no wager bingo sites that offer players a bonus that they can’t turn down? 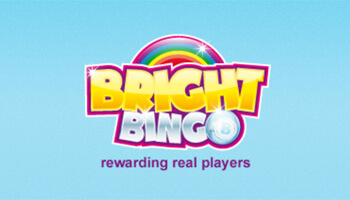 It appears that the most popular operator that is offering a no wager bingo bonus is Dragonfish who operates sites like Bright Bingo, Cracker Bingo, Dazzle Bingo and Bingo Storm. The Dragonfish network is a popular choice for new casino sites due to the impressive interface and games that are added. With this sort of bonus, it makes sense that new sites would jump on board with Dragonfish. Other operators that offer the latest no wager sites include Virtue Fusion who are behind Buzz Bingo and Gamesys who operate big sites like Jackpot Joy and Heart Bingo. These sites do a lot of advertising and their no wager bingo bonus is a massive draw for many players. You’ll also find that there are some proprietary sites offering a no wager bonus like mFortune and Mr Q which are just as popular with bingo fans online. The reason for the sudden increase in no wagering requirements sites is that players are getting sick of losing out on their bonus. Often, welcome bonuses that come with a lot of wagering requirements thrown in can expire meaning that players don’t get all that they were promised. Of course, this is often stated in the terms and conditions on sign-up which is something which a lot of players don’t take the time to read. Another problem with wager requirements is that when you win on the site, you won’t be able to take full advantage of your winnings. This is because you need to wager a certain amount of cash on the site before you can withdraw meaning that you could end up losing all of the cash that you won just to get past the initial wagering requirements. This is why many sites are helping players by offering a no wager bingo bonus and letting them enjoy all of their winnings when they want. The Competition and Markets Authority recently worked in collaboration with the UK Gambling Commission which had an effect on wagering requirements and how online casinos use them. This is really interesting as it meant that many online casinos needed to change the way that they offered their bonuses and you’ll find that there is now more clarity for players. The outcome of the CMA’s investigation meant that casinos cannot force players to play a certain amount of times before they can actually withdraw money that they have deposited. On top of this, the changes to the wagering rules mean that any sort of restriction on gameplay needs to be clearly stated.  This puts an end to vague terms and conditions and helps players to understand exactly what they are agreeing to when they sign up. The CMA also asked these operators to stop asking players to take part in publicity which had been a problem in the past. These new rules now mean that there can be wagering requirements on bonuses but not deposits. Of course, there are plenty of casinos which offer no wager requirements at all to attract players and avoid any confusion. When you do get a bonus on a no wager site, you might find that it comes in a different way to those offering a no deposit bonus with wagering requirements. 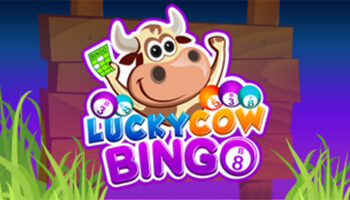 The sites that are offering no wager requirements bingo will offer their bonus using free spins on slots or bingo tickets. This is not quite the same as earning cash to spend on whatever you want but free tickets can go a long way when there are no wager requirements attached. While you might still get cash as a welcome bonus from a site with no wagering requirements, this may go into a bonus account rather than your real funds. The site should be clear about this, however, and you will still be able to withdraw your deposit. When you are choosing your new casino site, you need to make sure to look at the extra terms and conditions before agreeing to a no wager bingo bonus. 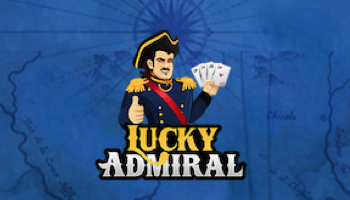 Some sites might offer you 50 free spins, but these can be on specific games that they want to promote. You might also find that there are some minimum bets or deposits attached to bonuses which can change the way that you use them. Another thing to look for is any sort of caps on wins or the RTP which could change the frequency of your wins. Make sure to look out for all of these things when choosing your no wager bingo site to make sure that you get the most for your money. No wager bingo sites are very popular, and they are set to become even more popular in the coming year. Make sure to check out our favourite sites Bright Bingo and mFortune who offer some amazing bingo bonuses without wagering requirements. These sites will give you the chance to win big without too many terms and conditions attached. Sign up to one of these sites today to get your online bingo experience started off with a bang.